McGowan, Donnelly & Oberheu, LLC (MDO) is a wholesale insurance broker specializing in the placement of professional and management liability risks. We work exclusively with retail brokers in providing solutions for their clients. We recognize that retail agents and brokers utilize wholesalers for different reasons. 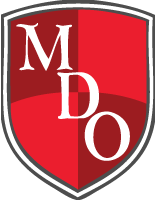 MDO tailors its services to best suit your needs and the needs of your clients. Our goal is to create a partnership by providing cost effective solutions without sacrificing coverage. MDO understands professional and management liability products are not commodities. Every submission is evaluated on its own merits. We are not burdened by any programs or underwriting contracts that prevent us from providing the best home for each risk. Our expertise in the professional liability marketplace is only one of the factors setting MDO apart from our competitors. If you value hard work, resourcefulness, professionalism and superior customer service, you have found your new specialty wholesale broker. We welcome the opportunity to earn your business. When you see ducks swimming in a pond, they appear calm, as if they are gliding on the surface with ease. However if you look below the water, you see the constant effort it takes to propel the duck forward. The Trick is to make it look easy, while underneath you’re paddling like hell. Rest assured our easy demeanor is only a façade. Your business is important to us, and we are constantly paddling to provide exceptional results. We are diligent. Ducks sleep with one eye open to protect themselves from predators. We are highly adaptable. Ducks do not get cold feet; they can adapt to any condition. We are resourceful. Ducks can elude their enemies in many ways either by flying, running, swimming or diving for protection. We are instinctive. Ducks know when to migrate and forge ahead with confidence. We are team players. Ducks fly in a “V” formation to make it easier for the individual birds to fly. They take turns handling the burden of being up front. Professional Liability is not easy. We just make it look that way.